Illinois’ premier gathering for fire personnel takes place October 9th through the 12th. 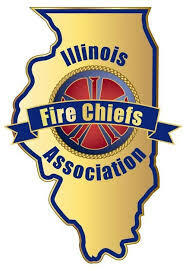 October 3, 2016 – Peoria, Illinois – For the past 24 years Illinois Fire Chiefs Conference has taken place in Peoria and once again this year the Illinois Fire Chiefs Association is partnering with the Illinois Society of Fire Service Instructors (ISFSI) and the Illinois Fire Apparatus Mechanics Association (IFAMA). This premier professional development conference for fire personnel will be held at the Peoria Civic Center, with exhibitor days the 10th and 11th. One exhibitor attending the conference this year, is Wisconsin based online software company Aladtec. The Aladtec system is an efficient, and cost-effective, online employee scheduling and workforce management SaaS (Software as a Service) system. Because it is accessed via the Internet, the system is available 24/7 from anywhere. The core of Aladtec’s business is within the Public Safety Sector, and the majority of their customers are Fire and EMS agencies. The Aladtec system easily handles complex scheduling and unique rotation requirements common to fire departments. It’s many features offer numerous benefits including, allowing members to submit availability, request time off, and make shift trades online. It’s available 24/7 from any computer or mobile device via the Internet. Aladtec has evolved from only a crew scheduling system a dozen years ago, to an all-in-one robust and dynamic workforce management tool. It features certification tracking, customizable forms, a document library, member discussion area, custom reports and an optional Time Clock kiosk. Any report can be created from the data you have in the system and it integrates smoothly with most payroll systems. This online system improves a department’s efficiency, saves time, saves money and reduces human error. These factors are vital for mission critical organizations, like fire departments. Aladtec is available for an affordable annual fee based on the number of members using the system. Therefore, it is reasonably priced for organizations of all sizes – including volunteer agencies. Today over 1,700 organizations subscribe to Aladtec’s online employee scheduling and workforce management software with over 100,000 people using the system throughout North America. While at the conference Aladtec staff hopes to connect with many of their Illinois customers. They will also offer guided demos of their Aladtec system and sign agencies up for a free 14 day demo offer at the conference.